Democratic congresswoman slammed for accusing Jewish official Stephen Miller of being a 'white nationalist' over immigration policy. Right-wing critics railed against Rep. Ilhan Omar for calling White House senior policy adviser Stephen Miller a “white nationalist” amid a string of tweets decrying the Trump administration’s hard-line immigration reform policies. 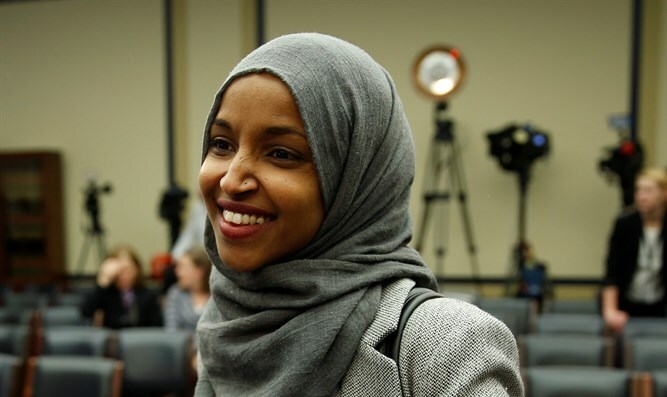 The detractors accused the Minnesota Democrat of targeting Jews — a claim she has heard several times since joining the Congress in January. Omar has had a strained relationship with the Jewish community since taking office after employing anti-Semitic tropes about dual loyalty and Jews and money, and the resurfacing of past tweets considered anti-Semitic. The tweet was accompanied by an article indicating that Miller convinced Trump to appoint a tougher candidate to lead the Immigration and Customs Enforcement office. Miller was behind Trump administration policies that included separation of immigrant families, and has advocated for closing the U.S.-Mexico border. Rep. Lee Zeldin, R-N.Y., blamed Omar for targeting Jews. “During my time in Congress before @IlhanOmar got here, I didn’t once witness another Member target Jewish people like this with the name calling & other personal attacks. In 2019 though, for @IlhanOmar, this is just called Monday,” his tweet said. Miller, who is descended from immigrants who came through Ellis Island, is seen as one of the architects of the Trump administration’s initial travel ban on seven Muslim countries. Earlier, Omar in two tweets criticized the outgoing head of the Department of Homeland Security, Kirstjen Nielsen, for working to enforce such policies. Nielsen submitted her resignation on Sunday.